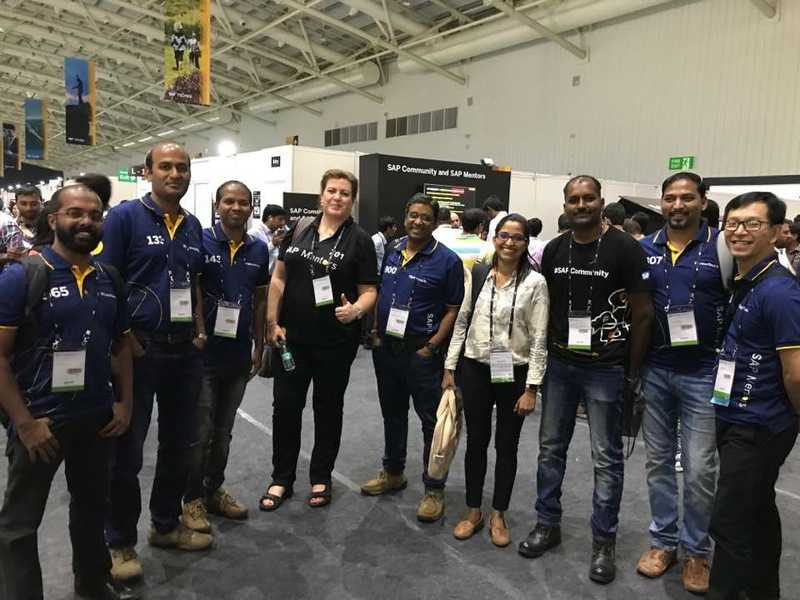 SAP TechEd Bangalore 2017 just got over and here is some of the highlights of the event. Keynote was kicked off by Bernd Leukert with a thanks giving to SAP labs India team and Former Member for making SAP Labs one of the best employers in India. Bernd definitely adds to the vibrancy in keynote. He emphasized the importance of open platform and open mindset in software development, no doubt hinting indirectly at SAP CP. The rationale behind open platform is the enabling developers to continue doing what they are best at, definitely added with the integration services. To further emphasize adoption of openness in SAP’s road map, he mentioned Cloud Foundry, TensorFlow, and Kubernetes. The vision of SAP to run better and improve people’s life was highlighted with a use case built for early diagnostic of the disease ALS. He highlighted importance of partners and people for a collaborative innovation in the SAP ecosystem. The partnership between SAP and Google was highlighted. This is one topic that would invoke interest of strategic thinkers in terms of capabilities this partnership would bring beyond cloud platform. The stage was then handed over to Bjoern Goerke and his team. I think this was the first time when so many people participated in the keynote equally. The theme to guide the troubled spaceship “Kobayashi Maru” was used as a metaphor to running big businesses and taking critical decisions. Well, I personally like the theme and the fact it emphasizes that businesses are not run by an individual rather a team working on the same vision. For those of us, who watched SAP TechEd LV online, it was just physical version of the same presentation. And obviously, when one watches a repeat telecast the energy levels of the stage performers seem to be missing. The sequence by which evolution and adoption of open platform is done at SAP was highlighted fantastically by moving from R/3 to SAP CP. SAP HANA 2.0 capabilities of machine learning and spatial services were highlighted. 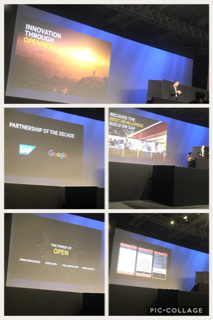 SAP Data hub was showcased with a good example of data being transmitted from runners Fitbit bands across globe to derive the regions which had the greatest nos. of runners. This could be further drilled down to the finest possible analysis needed from the live data then. I liked the use case. 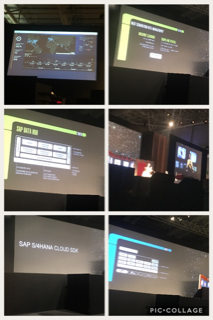 Along with announcing SAP S/4HANA Cloud SDK, he highlighted that S/4 HANA has 1000 live customers which includes Walmart and 60000 instances of HANA Express Edition have been downloaded. One of the highlights of the keynote this time was the repeated usage of the term “Micro services and API”. I liked the thought that, “For a business to be successful three key factors are – Truth, Agility and UX”. I cannot agree more to this. Truth is in terms of data. My mind was quick enough to relate it to what I do – however hard I debug on the wrong test data, I can never find the right root cause of an issue. Sindhu Gangadharan showed an example of “Connected Agriculture” which could actually let the customers know the ingredients of Palm oil and could be drilled down to know to the palm trees involved in the product. As expected, announcement of ABAP on SAP CP was quite welcomed by the attendees. I had already watched the online video demo twice by then and definitely need to see this on the trial version. A whole lot of views on this has already been shared by the community right from the point of view of adoption to comparison with deployment of Java apps on SAP CP. To me it means that the veil has now been removed from the ABAP developer community and it’s now either “Learn or perish”. I had the opportunity of having a candid discussion with Yariv Zur when I asked him as to with SAP’S roadmap around SAP CP what should be the learning curve of ABAP community. He firmly said that irrespective with what one is doing in day job, she/he cannot afford not to learn Cloud be it any and not necessarily from SAP. He mentioned GitHub as well along with highlighting free learning opportunities available. Keynote ended with some dance and Jam band (for the first time) which was good. I felt Keynote could be made more vibrant with some new announcement/different use cases. I had liked it much more last year. This year after a gap, design thinking workshop was organized with the topic “Future of online community” which actually took the form of what attendees would want to see from SAP Community Network down the line. I’ll now move on to the changed arrangement done at the TechEd Venue this time. Everything right from keynote to hands-on-session to demo rich lectures 🙂 were on one floor with restrooms at the corners. It first made me think good but then I realized this set up does not suit huge crowd like we’ve in Bangalore. Coding to me requires concentration and I would not want noise and disturbances around. This was exactly the case when Codejam area was in mid of booths and other stalls! The queues to attend sessions were so long that one has to travel quite a lot to check the name of the halls. At one point of time, I felt it had become chaotic and actually went to get a silent coffee in an adjacent Food Stall. I think the arrangement done last time was much better in terms of orientation. We had developer garage this time which is quite impressive. Garage, to me refers to an area at a corner which is usually quiet and people could be just themselves and focus on what they’re doing. But this was not the case as again it shared space with other activities. Well, there is this one thing which was really disturbing and should be taken care of. The hygiene of the ladies restroom. If the intention was to scare us to think of not visiting even closer to that area, the team has succeeded with great marks! A big Kudos to the speakers, lectures and content writing team. There was no problem related to login this time in the hands-on session. I also found the sessions much more organized which meant much effort had gone behind. Adding more developers who could help attendees with doubts would benefit further. I sensed a shift in the sessions this time which resembled DIY – Do It Yourself. I felt this is great and awesome from an attendee perspective. I definitely liked someone saying, “Even if you’ve booked the session before, you’re 5 minutes late to the session and it’s full now”. I considered myself lucky and punctual post this overhearing. The other big achievement by the organizing team is in terms of almost no queue for registration and provision of cloak room facilities right at the entrance. The other attraction was the showcasing of different use cases at different booths. I could see a running demo of asset manager at the “Enterprise Apps for iOS” booth. A use case for machine learning in terms of jewelry identification at the “Leonardo” booth. SAP needs to do better in terms of getting crowd understand that Leonardo is not a product. I even had a networking session on BRF+ and was pleased to see a good crowd. This was definitely a good and learning experience on how I could’ve done it even better. The other highlight was hosting Krishnan Chatterjee for a TechEd Live. I’m greatly impressed with his simplifying skills on a complex topic like Digital Transformation. Nice job, Kumud Singh – I felt like I was there with you when reading this. Thanks Tammy! It took quite sometime to get this out, realized I’ve not been blogging for a while. Nice observation. The collage could be zoomed a bit to make it appear bit better. Great feedback Kumud for the TechEd team and keynote speakers! 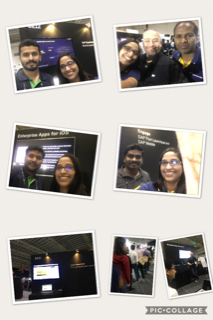 It was a pleasure meeting you in Bangalore, and thank you for all your contributions at TechEd! It was great meeting you as well. Thanks! I am wondering by seeing this blog, it’s very tuff to put each and every activity in one document even though you’re presented in the TechEd. Hatsoff.. for your memory and Congratulations for nice blog. I need to find the right tool for collage making. It was great meeting you. Thanks!